IPL 9 Preview - Match 52 - DD vs SRH. IPL 9 may be 50 matches old now but tomorrow's match will bring with it an air of novelty, which is the beauty of IPL. The state-of-the-art events even at the business end acts as an attraction for the crowd. If Kanpur is hosting it's first match today, Raipur will host it's introductory match tomorrow. Shaheed Veer Narayan Singh International Stadium will act as the second home ground for Delhi Daredevils. 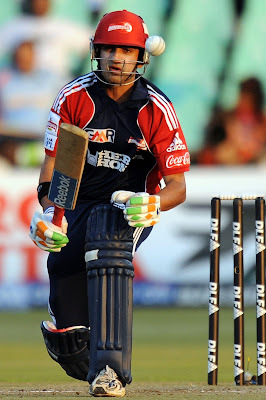 Delhi Daredevils defeated Sun Risers Hyderabad by seven wickets in their previous encounter in Hyderabad. At the moment, Hyderabad is at the top of the points table, whereas Delhi is at the sixth position. The difference in their points may only be two, which tells the how important is the net run rate at this stage. One batsman who has let his team down big time in this season of the IPL is Shreyas Iyer. The 21-year old right-hand batsman from Mumbai averaged 33.76 with a strike rate of 128.36 in the last season. His numbers have toned down to an average of 5.00 and a strike rate of 69.76. Daredevils would be looking to drop him and reinstate Rishabh Pant at the top of the order. Quinton de Kock would look to ride on his elegant form. The Indian striplings in Karun Nair and Sanju Samson would also like to continue their decent form. With Pant opening the batting, JP Duminy can be given a go at No. 5. The experienced South African can control the game as well as dominate it from this position. Perhaps, Carlos Brathwaite can be brought back in place of Nathan Coulter-Nile. This swap would mean that Delhi's lower middle order would comprise of Duminy, Brathwaite and Chris Morris. Chris Morris will have to redeem his dual role. Correspondingly, one out of Jayant Yadav or Pawan Negi can replace Iyer in the playing eleven. Yadav would be a better option, considering the fact that Sun Risers have three left-handed batsmen in their top four. Zaheer Khan and Mohammad Shami will bowl with the new ball followed by the leg-spins of Amit Mishra. Sun Risers Hyderabad will be jolted by the news that Ashish Nehra will no longer be a part of IPL 9. Barinder Sran will once again feature in their playing eleven. Bhuvneshwar Kumar will once again lead the attack comprising of Mustafizur Rahman and Karn Sharma. Their batting looks stronger than ever now with the addition of Ben Cutting. The fact they chased 180 against Kings XI Punjab in their last match with ease would bolster their confidence. Both their openers feature in the list of Top 10 run-scorers. David Warner has scored 567 runs in 12 matches and his partner, Shikhar Dhawan has 402 runs in 12 matches under his belt. Both the blitzing openers will look forward to providing their team with a start that gives them a permanent spot in the play-offs. With Yuvraj Singh, Ben Cutting and Moises Henriques, their middle order looks much stronger T20-suited now. If Sun Risers' openers are in form, Delhi's Quinton de Kock is nowhere behind. The 23-year old left-hand batsman has scored 383 runs in 11 matches as of now. He will hold the key for Daredevils at the top of the order. 'Fizz' and 'Bhuvi' will play a big role for SRH in the bowling department. Bhuvneshwar Kumar has taken 16 wickets in 12 matches at an average of 22.18 in this IPL. He will look to replicate his performance, especially in the absence of Ashish Nehra. IPL 2016 - The Misfiring XI. IPL 9 Review - Final - RCB vs SRH. IPL 9 Preview - Qualifier 1 - GL vs RCB. IPL 9 Review - Match 53 - RPS vs KXIP. IPL 9 Preview - Match 51 - GL vs KKR. IPL 9 Preview - Match 42 - SRH vs DD. The captain and his numerals. IPL 9 Preview - Match 32 - KKR vs KXIP.